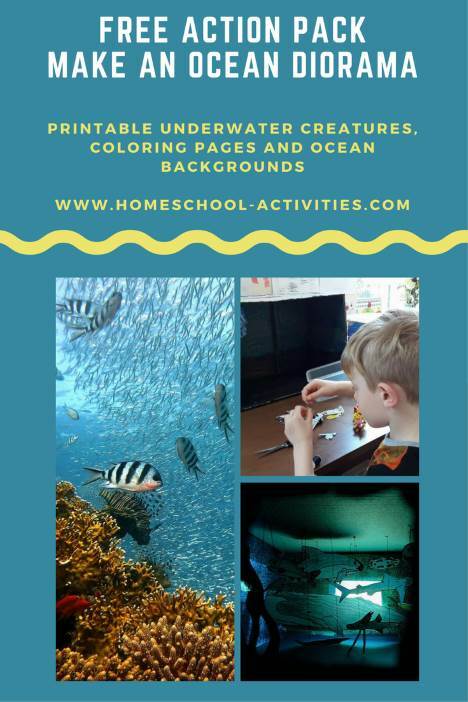 Our free homeschool unit studies bring water and ocean creatures together to make an irresistible combination for any kids aged 5-7 – so long as you don't mind the bathroom getting wet! * Free lesson plans for all ages. * Free Action Pack with printable sea creatures you can color in. Depending on where your child's interest take you, you'll cover science, geography, art and craft and reading - all in one go! Teaching children is easy when you get them on your side. 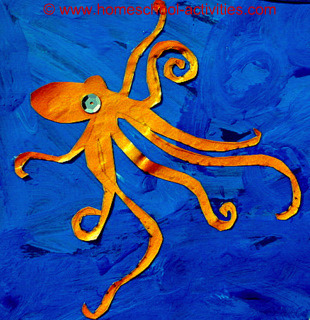 We love this ocean creatures project. 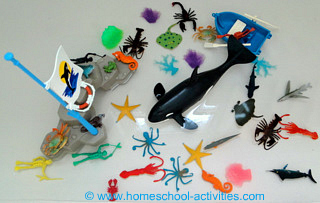 This is a great project to combine with making an Ocean Diorama. 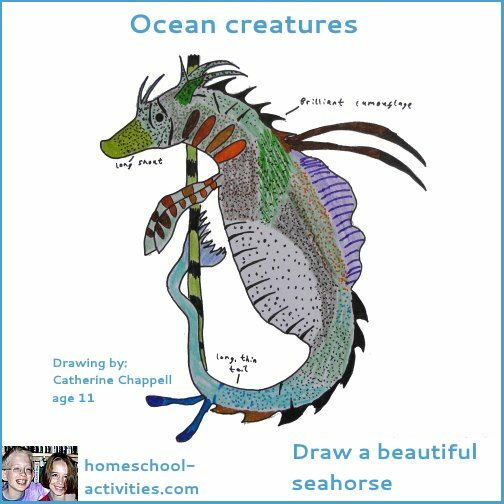 The free Action Pack has coloring pages of sea creatures which you can color in and add to your ocean unit studies, as well as beautiful photos of sea creatures. You can get your free Action Pack on this page and use it to make a wonderful Ocean Scene. With your child, of course! 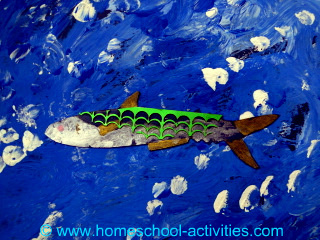 You have to go where your child's interest is and adapt this ocean creatures homeschool Unit Study to them. First, we took the largest sheet of poster cardstock we could buy. BIG is always best with small children. Wallpaper lining paper would be great. We've used crinkly shredded paper to make homeschooling seaweed and cut out a big blue whale which the children have drawn on. 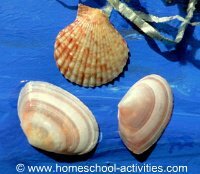 How about going down to the beach – there's lots of free homeschooling stuff just waiting on the tide line to be collected! You'll see from my affordable homeschooling advice, there is one area I don't think you should skimp on. Top quality craft materials are a must for homeschool unit studies or any other projects you work on, like our model solar system. 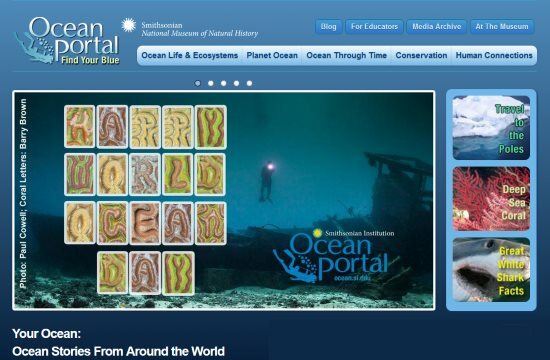 The Smithsonian Education Ocean Portal is a fantastic learning resource which you can use to back up your homeschool Unit Studies. National Geographic is also great for all ages. 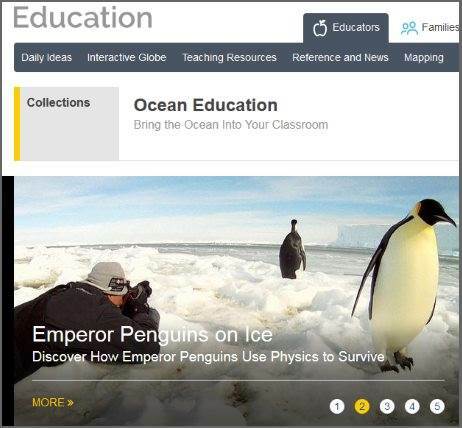 Find great facts, photos and videos of ocean creatures from the bottlenose dolphin to sharks and emperor penguins. It also has a great photo gallery of deep sea creatures. It has activities like making your own waves and the Earth's water cycle. Highly recommended. Great fun and learning at Octonauts corner. You can also watch Octonauts on the BBC. 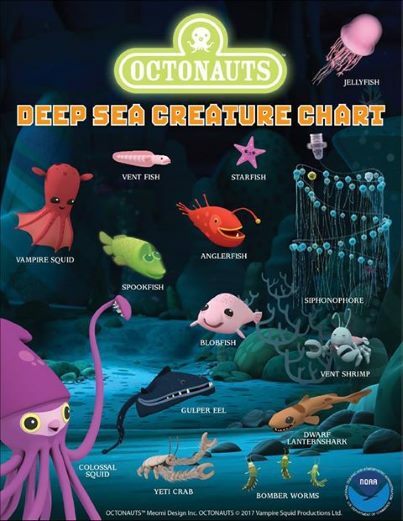 "Although Octonauts is aimed at preschool/ infant aged children we found the knowledge involved in the program was far above this and we found as adults we were learning things. There are games on there too and coloring pages too." 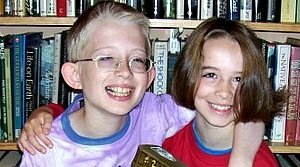 "I remember having fun reading an Eric Carle book about a hermit crab and making a picture of the crab by gluing on all sorts of decorations like the crab did on his journey. 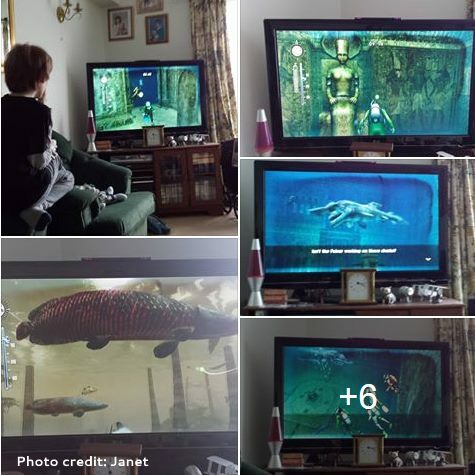 "I took these of my son playing Endless Ocean 2 on his time off the other week and thought you might like to see them, I think it's a wonderful, realistic and detailed game....It's very educational as the animals are shown in great detail in their natural environments and there are descriptions of each species, from whales and herring to goblin sharks, giant squid and angler fish. "Thanks for sharing this Janet. 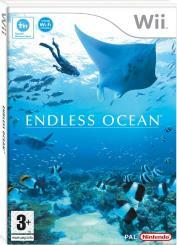 I have just ordered Endless Oceans (the first edition), which says it is suitable for age 3+ x"
If you want a fantastic way to inspire your kids to start this homeschooling unit study, watch this true home video of the rescue of a humpback whale from fishing nets. It's so amazing; the whale even comes back to say thanks! Ocean Creatures stencils are fun. How to Draw Sharks and other Sea Creatures helped us with outline shapes. You can get stamps of ocean creatures to use with ink stamp pads and leave impressions of killer whales, dolphins and seals all over the place! Pasta shapes, red lentils and kidney beans make an unusual free shark collage. 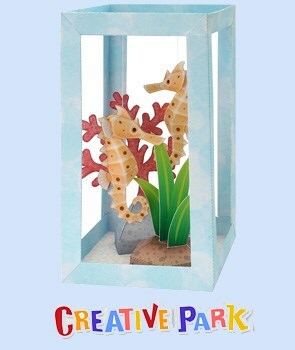 I love this seahorse diorama. It's just some seahorses hanging from cotton thread in a box..but fabulous nonetheless! Shirley tells you how to make some great sparkly pink and yellow sea anemones using toilet rolls and plastic bags in her page on sea anemone craft. Origami is fun. 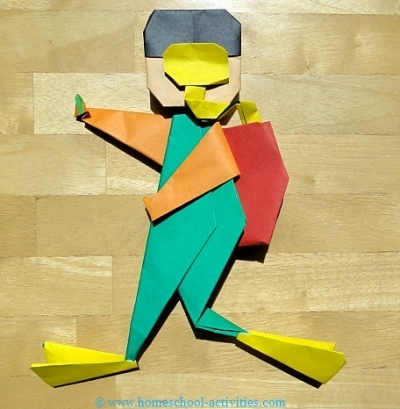 You can easily make a homeschooling origami whale, either by following instructions from a book or by getting an origami Ocean Creatures World kit. We added a silver foil shiny spout and a stick-on eye. Watching David Attenborough's The Blue Planet got us fascinated with ocean creatures like Anglerfish and how they attract their prey. We enjoyed Free Willy too. My homeschooling diary from October records that we spent the whole of one day with everyone being whales – krill for lunch - hmm! 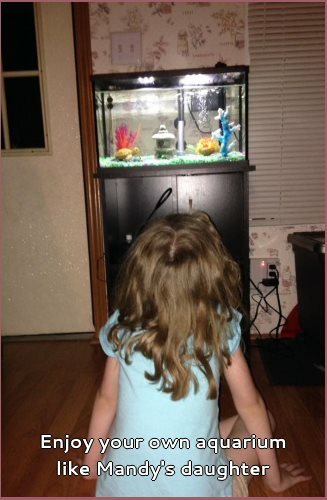 Setting up an aquarium can be a huge excitement - and a great addition to your homeschool Unit Studies. Or you can go virtual! 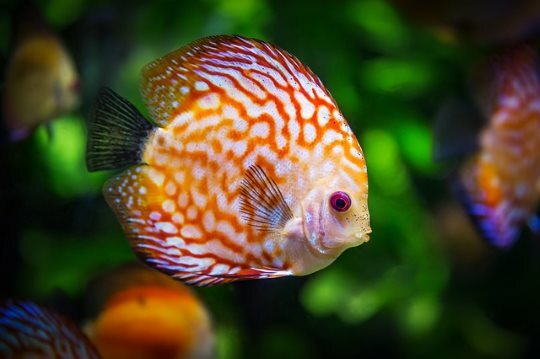 Create your own aquarium complete with sea creatures at this National Geographic site. 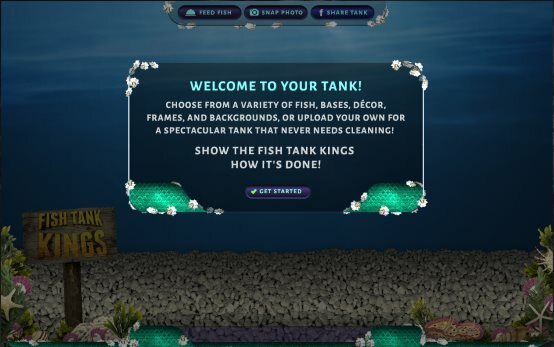 Design your own custom tank and share with your friends - no cleaning required! What an ideal way to add water into the equation and learn all sorts of free homeschooling science! You can fill your bath full of ocean creatures and play the game: Does it float or does it sink? ("Properties of materials" for those who do teacher-speak homeschool unit studies). If you squeeze the bubbles out of a sponge, you'll be able to work out why 'floaters' sink too. 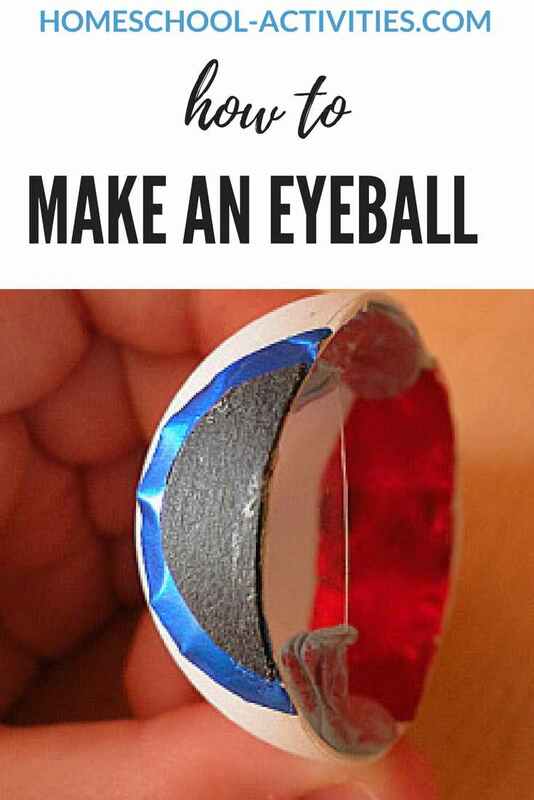 This is a must activity to get the most out of your homeschooling unit studies. The London Aquarium left us with memories of glass catfish, a sleeping leopard shark and feeding manta rays. We met Bruce, the black-tipped reef shark, on a homeschooling trip to a Sea Life Sanctuary. Monterey Bay Aquarium in California may be a little far away for some of us, but since it has a live Kelp cam we can all enjoy virtual views of ocean creatures in a kelp forest for free! Watch Live Kelp Cam at Monterey Bay Aquarium Now! 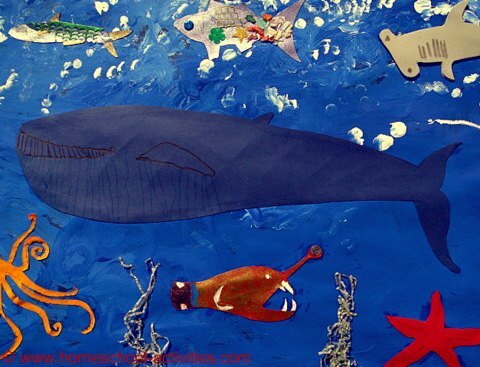 If you've got a child who likes making models, you've got an ideal way of adding design and technology to your ocean creatures homeschooling unit studies. We used K-Nex to make a 94cm shark. We made a free homeschooling submersible out of a cereal packet body with cardboard egg box lights and a vegetable net fish-catcher. 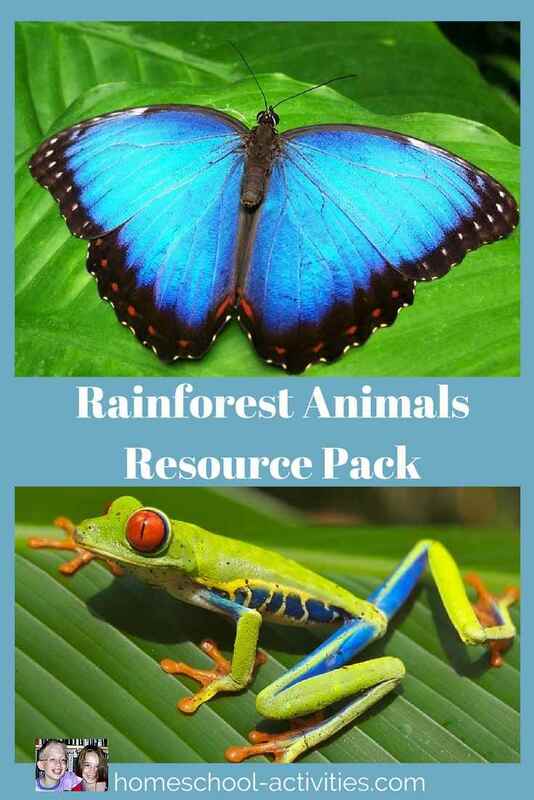 Try out some more brilliant free unit studies with this Homeschool Science: Rainforest for Kids Activities. And come and join in with our human body activities here. 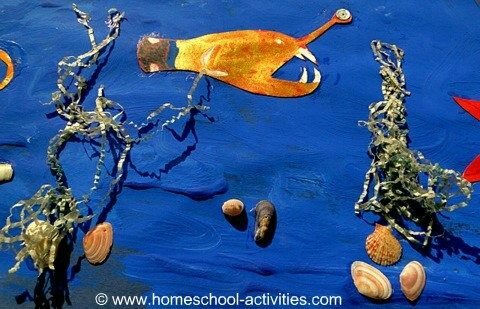 So I hope you can see that ocean creatures make an ideal free homeschool unit studies project, with your child learning all sorts of things and having fun at the same time.